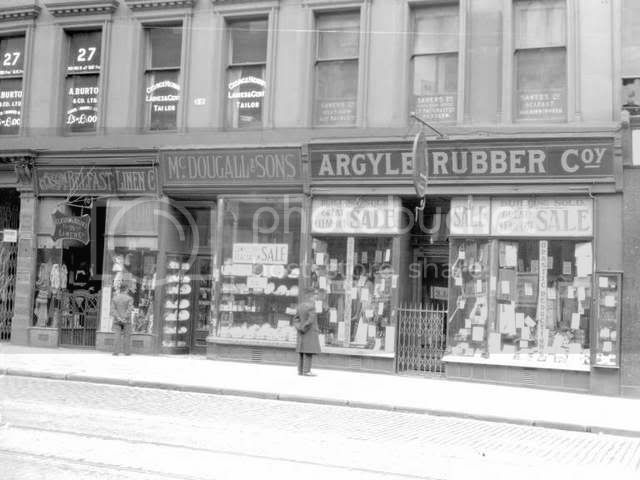 The Hidden Glasgow Forums • View topic - Argyle Rubber Co. If you look at some modern shots (door No's would suggest STA Travel), the windows just don't seem to fit. 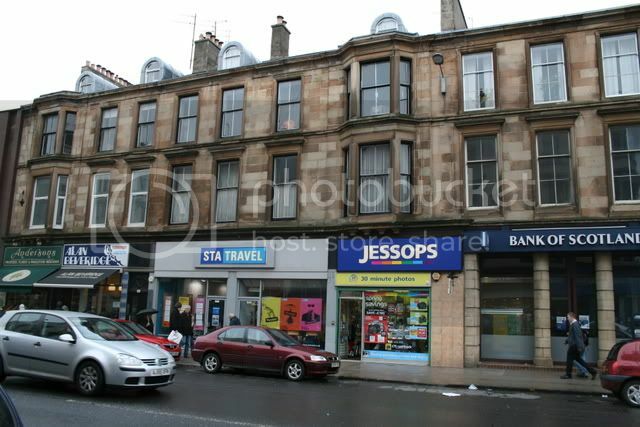 Any ideas on the 'Byres Rd' pic ? From what I'm seeing HH the bay windows don't look to be in the same place for it to be STA Travel. 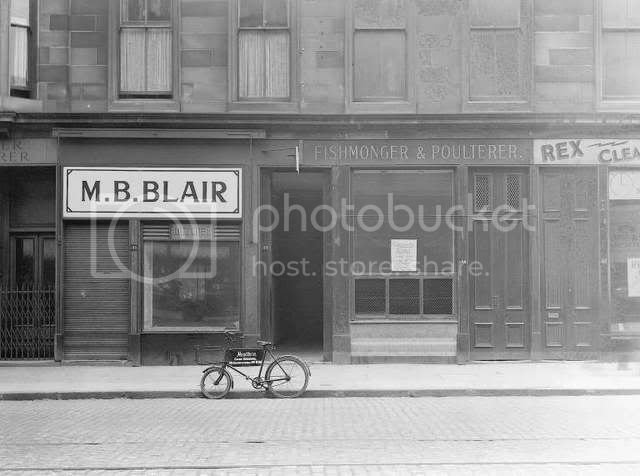 I thought the close entry would have placed it as being Alan Beveridge's (split into two shops, with Andersons on the other side?) 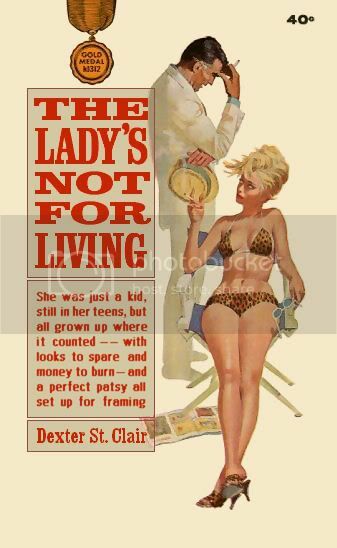 but the bay window in that doesn't seem to match either. Last edited by invy on Sun Mar 02, 2008 8:07 pm, edited 1 time in total. It looks like there's a reflection in the right hand window of the first picture, looks like it says "Paisleys". Well spotted Ally Doll - had a wee play around with the images in photoshop and it looks the same, just with the frontage changed. Yes, Ally, there was a 'Paisley's Dept. 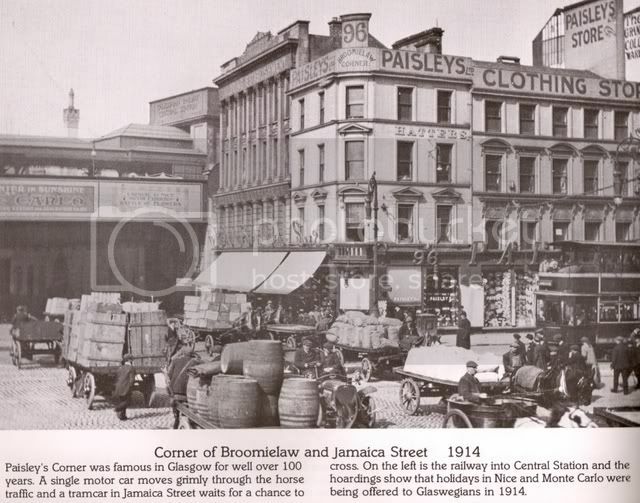 store on the the north west corner of Broomielaw & Jamaica St. 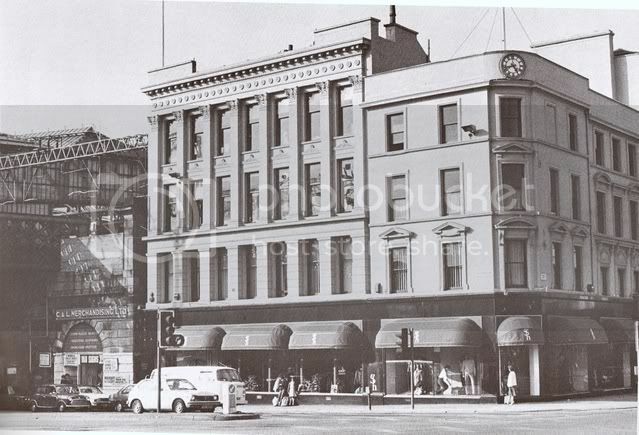 The corner has changed very little in 70 years, thought it is no longer Paisley's, which has removed to the other side of Jamaica St. Architecturally it remains the same group of buildings, they now belong to Sir Hugh Fraser, whose monogram appears on the sunblinds. From 'Glasgow Old & New' by Jack House. 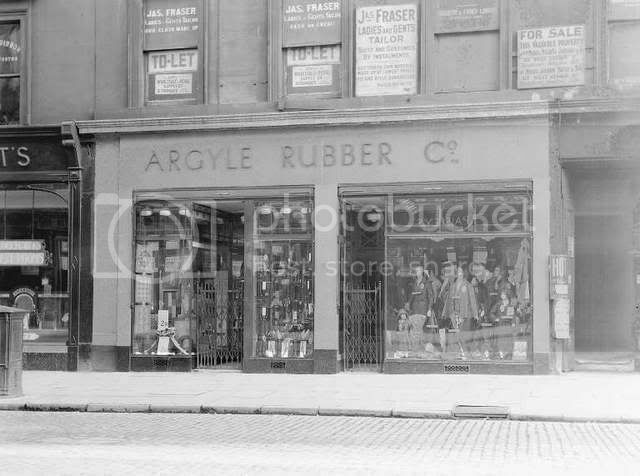 My initial thought also was that both shops were one and the same but having spent some time staring at these pictures I'm not so sure now. The moulding of the upper windows seems to be slightly different in the 2nd picture and to me the building in the 1st picture also has an 'older' look about it. Does anybody else feel the same way? However I agree that the 1st picture has probably been mislabelled - it wouldn't be the first time the VM has done this. Assuming the VM is correct, couldn't the road have been renumbered since then ? It is more accurate to say "assuming VM is incorrect". Despite the revamp the Virtual Mitchell is needing a band of volunteers to run it. I covered this from a different angle in a past present post. Here Bananaman! That's saved ye a jaunt.